Hello Spider-Man fans! Almost everyone in the world will know Spider-Man right? My kids as early as 2 years old also know the existing of Spider-Man and how he become one. The Teenage Web-Slinging superheroes who save the New York City from Super Villains is back in Marvel's Spider-Man on Disney XD! 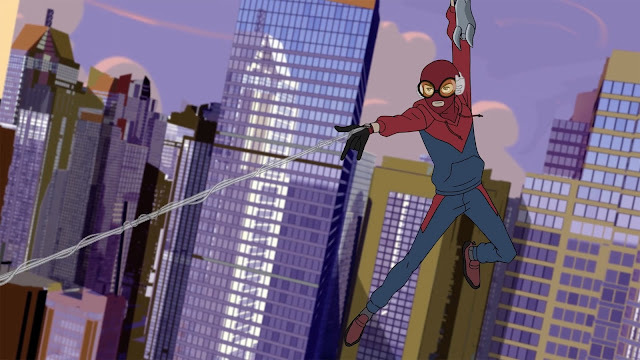 Your friendly neighborhood superhero Spider-Man is back in the highly anticipated animated series “Marvel’s Spider-Man”, which airs Saturdays and Sundays, 1PM and 8PM on Disney XD (Astro Ch 617) and available On Demand. The series introduces the famous wall crawling superhero to a new generation of audiences as we go back to the basics with the story of Spider-Man. Peter Parker is an ordinary teen who is discovering his new found “spidey senses” and is learning how to use them responsibly, while at the same time adjusting to life at Horizon High, a high school for young, brilliant scientific minds. Central to the series is Peter’s struggle with his dual life as a teenage science prodigy by day and web-slinging superhero by night. This new series is different from the original version where in this series they also introduces Team Spider-Man, Peter’s classmates at Horizon High who, like him, are science geniuses by day and crime fighters by night. As far as I remember the original Spider-Man has no team right? But this time he got one.  Peter Parker aka Spider-Man (voiced by Robbie Daymond), an ordinary teen who develops strange new powers after he is bitten by a radioactive spider. He devotes his life to honoring his Uncle Ben’s wisdom.  Gwen Stacy aka Spider-Gwen (voiced by Laura Bailey), a star student at Horizon High who specializes in DNA and gene splicing.  Anya Corazon aka Spider-Girl (voiced by Melanie Minichino), a top student at Horizon High who uses her intellect to develop her own spider powers.  Miles Morales aka Kid Arachnid (voiced by Nadji Jeter), Horizon High’s youngest student who gains spider powers of his own due to one of Peter’s science experiments. So this time around we got Spider-Girl.. I bet many little girls want to be a Spider-Girl after this! Utilizing their extensive knowledge in science, the team is able to come up with creative and innovative ways to work together and protect New York City from super villains like Vulture, Lizard, Sandman and Doctor Octopus, a teenage prodigy and Peter Parker’s rival in school. Through their many exciting, action-packed adventures, Peter and his friends come to embrace their alter-egos and learn that with great power comes great responsibility. The series is filled with action, drama, humor and heart going back to the basic elements that fans enjoy as Peter Parker get schooled in the art of becoming the hero that audiences know and love as Marvel's Spider Man. So here comes the best parts, in conjunction with this Marvel's Spider-Man come back in Disney XD, Disney XD collaborate with Shamiera Osment blog will make a giveaway for their die hard fans! yeah! It will be a very simple giveaway and there will be 4 winners that will win this awesome prizes here. So how to join the contest? Step 4 : Answer this simple question and share this post with your answer. 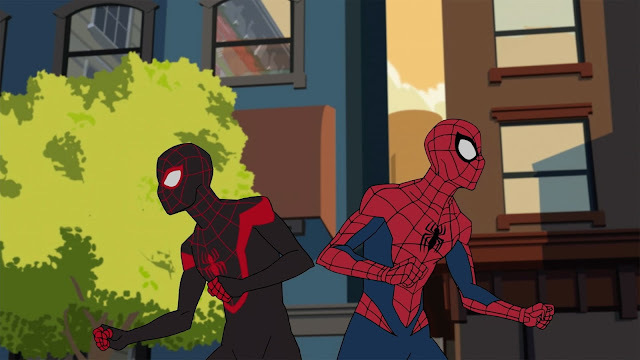 Q 1: What day and time and on which channel will “Marvel’s Spider-Man” be airing? Like and share this post (at Shamiera Osment FB Page) and tag 2 friends in the comment section. 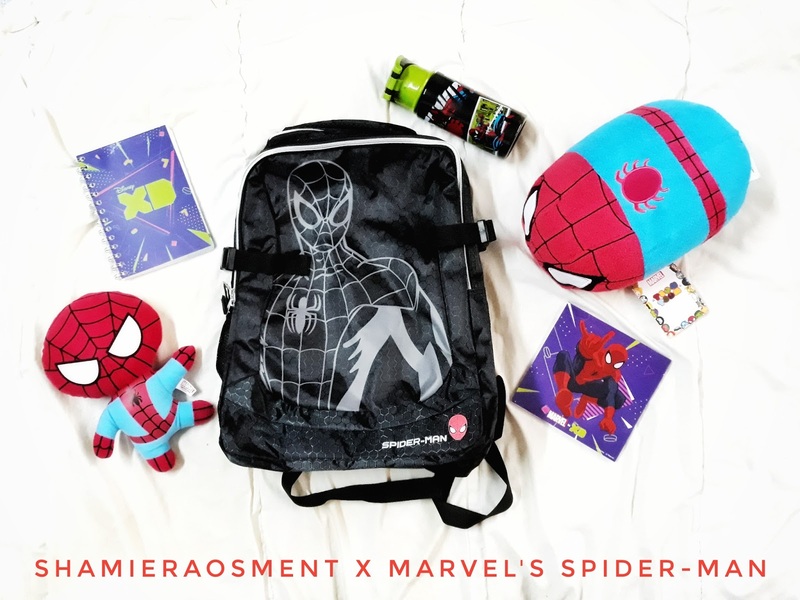 Don't forget to #ShamieraOsmentXMarvelsSpiderMan #MarvelsSpiderMan to ensure me and organizer can find your post. 1. Winner will be chosen by the creative caption. 2. All winners must collect their prize at the office in Petaling Jaya, Selangor. 3. 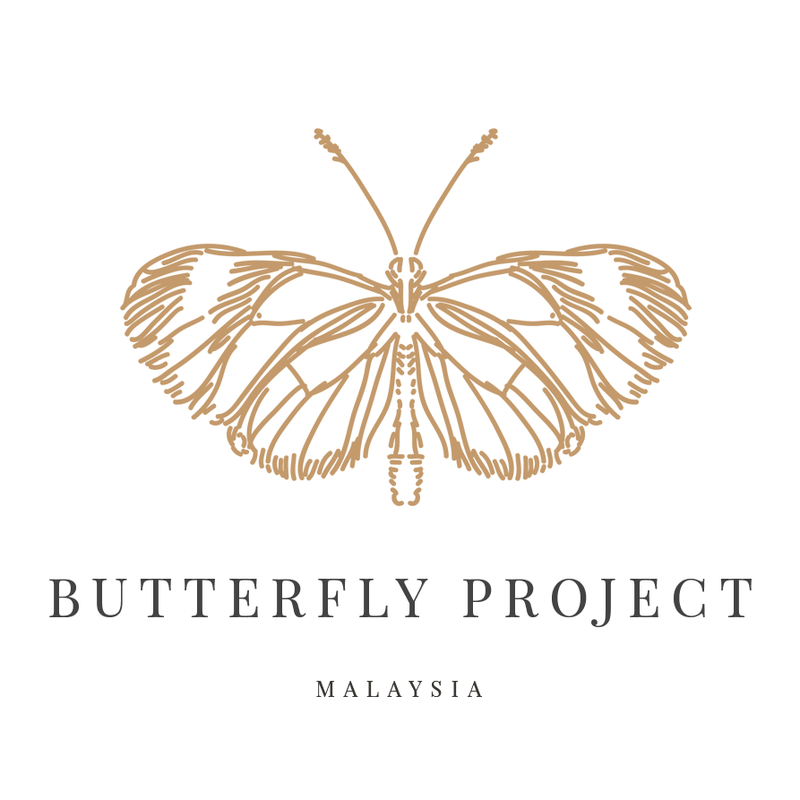 The contest is open to all Malaysian parents with kids of 7-16 years old. 4. Giveaway will end on 17 November 2017. All the best everyone and don't forget to watch Marvel’s Spider-Man”, every Saturdays and Sundays, 1PM and 8PM on Disney XD (Astro Ch 617) and also On Demand! Q1. Every saturday n sunday at 1pm and 8pm on disney XD(astro channel 617) and also on demand. Q2. spider-man is my superhero because in my imagination, he can save me when i'm in trouble. he can bring me fly together buiding to building and its so fun. Ala..Botol air dengan beg tu macam best laa..
Paling besar pun baru je 4 tahun haha kalo tak dah boleh join dah. Ada pertandingan ya?. Menarik sungguh promosinya. Pasti ramai anak-anak yang berminat sertai kan. Spiderman lekat dihati ibu-bapa dan anak-anak. Kita kenal spiderman. 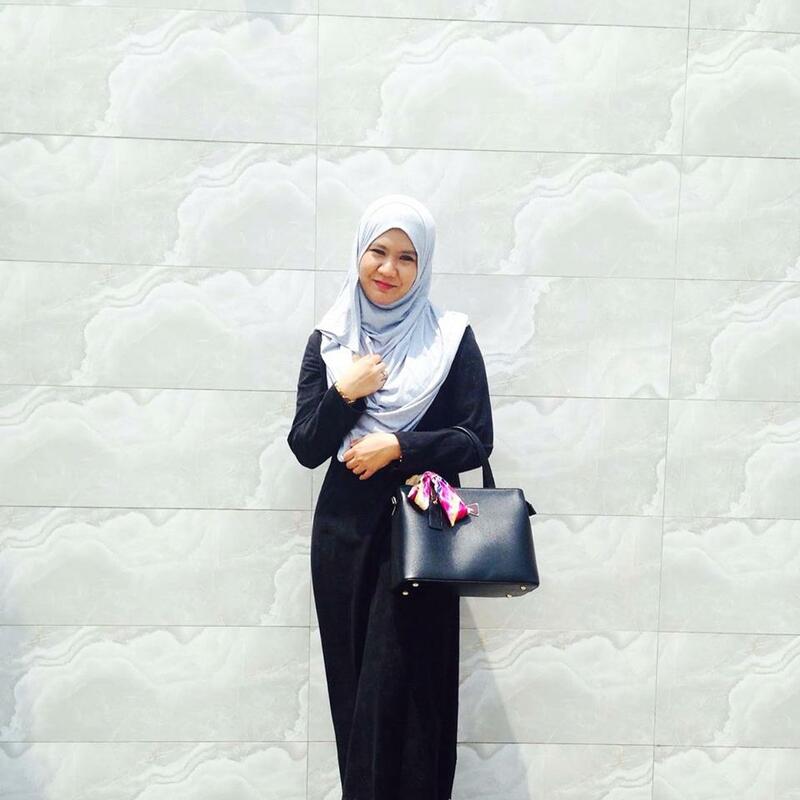 Nak join giveaway tapi takde budak2 lagi. so kasi chance kt korang lah.haha.. bestnya kartun spiderman ni.budak2 mesti melekat dpn tv. Wow wow to the giveaway goodies! I didn't know the cartoon version is coming back on! The prizes are sooooo cute. Although I wish to have them myself, I don't want to deny a kid from having them. Good luck to all who are joining. Spiderman!! My favorite cartoon when I was small. 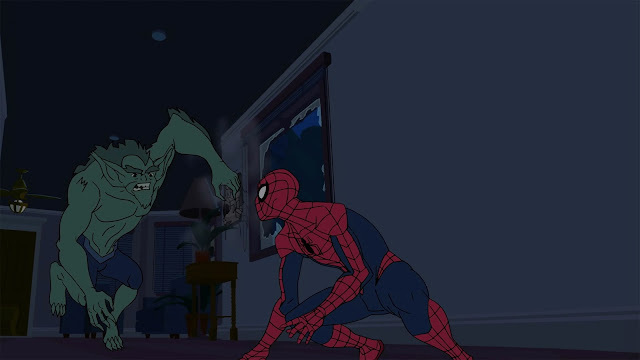 Now that I have grown up, still love watching Spidey cartoons. Spiderman is a no one super hero all the time. Will join the GA soon. And good luck to all participants. Every Saturdays and Sundays, 1pm and 8pm,on Disney XD (Astro Channel 617) and also On Demand. Q 2 : Spider-Man is my superhero because of his awesome character with amazing power and strength. A superhero cartoon that brings laughters and action at the same time.